This B-listed property needed extensive modernisation, and the client also requested an extension for a bright kitchen and dining area. Extra accommodation was to be fitted into the ground floor with an accessible bedroom, bathroom and kitchenette. He also required a new master dressing room and bathroom on the first floor. 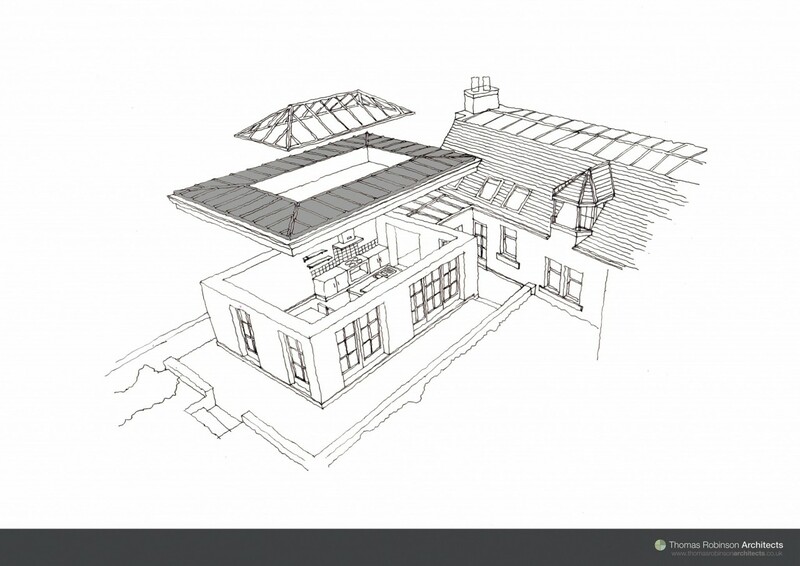 We drew up detailed drawings for a complete modernisation of this small cottage. This home had been added to over the years, so our job was a challenging one, working out which areas needed to come away and which should stay, and also where to add new sections within the client’s budget and within the planning laws. The final design featured an elegant ‘link’ section, which helped define the new space without the need of fixed doors and walls. The new kitchen design also featured a large central roof light to maximise light. We added new windows and a new configuration to the existing roof and building to draw light in, giving the whole place a much more spacious feel. 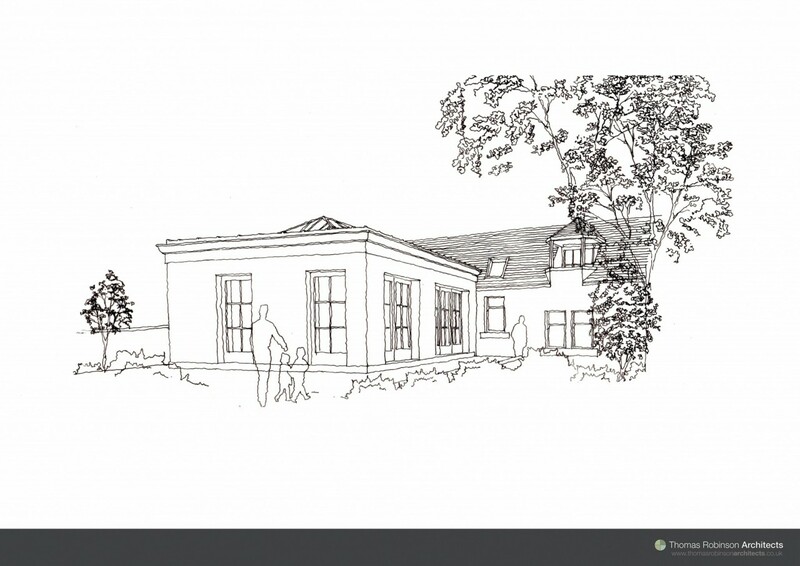 Our designs for this listed building passed the planning process without a hitch. The B-listed house could not be altered in appearance at the front, and we were able to incorporate all the changes to the rear, without affecting the cottage-like front appearance. The rear extension design also maximised light and garden views. We feel our design offered a huge lift in the accommodation, transforming it from a dark tightly-packed cottage that lacked space and cohesiveness to a light, airy, organised contemporary home that would give the inhabitants a better day-to-day home life.